Comandia Online Store offers features & marketing tools without making large investments helps to choose a template & personalize the store. Commerce 360 is a Wholesale distributor e-commerce platform to help you compete within a global supply chain. 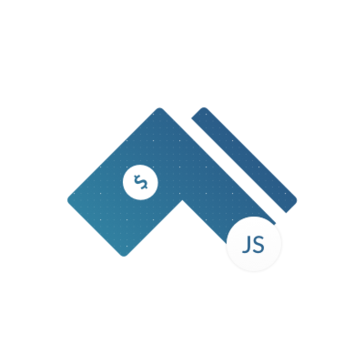 Commerce.js is an API-first eCommerce platform for developers who want to quickly create custom experiences on any device or channel. A headless eCommerce platform that is quick to integrate into any tech stack. commercetools SPHERE.IO is the eCommerce platform-as-a-service (PaaS) that allows merchants to build and connect world-class shopping experience on web, smartphone, tablet and point of sale. Made by developers for developers we offer the most versatile cloud-based commerce platform. You can call it software-as-a-service or platform-as-a-service. We call it Cloud Commerce OS. COMPANY E-Commerce is the foundation for your e-commerce business. It is a consolidated database for information such as product information, customer information, order information, etc, making it extremely easy to efficiently run your business. Compass Agile Enterprise is a Platform as a Service (PaaS) or low-code development platform that changes the equation between packaged software and custom development, by offering an elegant hybrid model that is fast, flexible and easy to use. Composity eCommerceis an all-in-one ecommerce platform designed to grow online businesses. Contus is a SMAC company headquartered in Chennai, India. It has established itself as a name to trust in eCommerce development for various industry verticals including B2B and B2C. Contus has so far developed online stores for fashion, jewellery, automotive parts and so on. Contus renders eCommerce development on number of eCommerce platforms including Magento, Laravel, PHP, Drupal and several other eCommerce platforms as desired by its clients. As part of its ever-expanding eCommerce development service portfolio, Contus provides code shipping service, customization, performance optimization and cloud hosting consultations for businesses of all sizes and kinds to build and launch their own eCommerce websites. The company offers 40+ eCommerce themes with multiple color themes with the option to instantly customize and launch. Contus also has a vast collection of eCommerce scripts and extensions that further enhance the productivity of online stores for selling, social sharing, inventory management, reporting and so on. Some of its eCommerce Services Include: => Developing readymade scripts for building eCommerce marketplaces => Optimizing the eCommerce website’s loading speed. => Integrating payment gateways for eCommerce sites. => Rendering cloud hosting services. => Native mobile commerce apps for eCommerce sites. Contus is powered by the intellect and creative strength of a 250+ IT professionals. The team consists of Magento developers, Android & iOS developers, and other mobility technicians who have helped Contus successfully create 1000+ eCommerce sites. The eCommerce websites created by Contus are in use 40+ countries. Some of their popular clients include 3lamodak store, Team Fund Up, Zaamor, Cbazaar, etc. CosmoShop offers mobile-capable, responsive shop software shop system directly from the manufacturer. Effective eCommerce websites and business management software for promotional product distributors, apparel decorators, sign makers and print managers. Cygneto Apps is an ordering apps for sellers, retailers, distributors, wholesalers and field sales teams. Easily and quickly create unique ordering websites for your customers. It works for small format as well as large format printers. Devicedesk is an online catalogue platform, it has digital portal for supporting customer procurement and support needs that provide a great experience, builds loyalty and brand advocacy. dotRetailer's e-commerce platform provides all the tools required to build and manage an e-commerce website. In the era of digital transformation, Retailers are experiencing a real revolution. To help them meet the challenges of tomorrow's business, we support them every day in their omni-channel strategy by offering our DS Smart Commerce for Retail solution . DukaPress is open source software that can be used to build online shops. The ecommerce platform to sell with your own brand. Start anytime, grow anywhere. The eBanyan e-commerce application includes features such as Dynamic Pricing, Local Search, Automated Shipping and Handling, Online Catalog with Product Grouping, Order Tracking, E-Mail Campaign, Project Manager, Online Payment Processing, Search Engine Optimization, Shopping Cart, Secure Access, Import/ Export, Customizable Forms and much more. EBIZPLATFORM GIVES YOU A FEATURE RICH B2B PARTNER PORTAL IN THE CLOUD. ECOM 2.0 is a new e-commerce software that delivers a high-end experience both for merchants and customers. Made in Latvia, ECOM 2.0 offers a full-range functions in order to cover all processes across the entire e-commerce cycle. With ECOM 2.0 cloud-based platform you can easily and clearly accomplish all activities connected to your sales process, such as order processing, invoice and receipts generation, integrate supplier and producer tools into the webpage and system etc. On our ECOM 2.0 e-commerce system foundations we have also created an unique solution - ECOM 2.0 HORECA, that makes food ordering, organizing, managing and delivering easy and convenient. Specialized eCommerce management system that provides order management, eCommerce CRM, analytics, and integration. Welcome to http://AuctionSoftware.com , DevelopScripts LLC. We are experts in both web and Mobile developments.Our Skillset includes Nodejs,ROR,PHP,CSS,HTML etc. Dynamicweb offers a multichannel ecommerce solution with real time integration to Dynamics NAV. eCommercePro is the perfect choice for retail and wholesale traders. This ERP system manages end-to-end online store operations as well as product management and customer loyalty programs. eCommfy encompass a wide range of services like database administration, 24 X 7 support teams, off-shore consulting, quality assurance and marketing online. Elcodi is an eCommerce platform built on top of Symfony to build and scale eCommerce projects. Engine is a eCommerce platform solution focused on conversion & content. enVista’s Unified Commerce Platform is functionally rich to solve the complex and evolving needs of today’s omni-channel organizations. The platform is strategically and uniquely built from the ground up as micro services architecture on a multi-enterprise integration framework and a single data model, in order to rapidly integrate and enable customer-centric, unified commerce in months or weeks, versus years. Orkiv helps retailers succeed with logic based commerce automation. Working across both online and offline channels, retailers bring in more sales and lifetime value. Orkiv logic based commerce can rapidly be implemented to deliver scalable and effective sales growth. Visit Orkiv.com to discover your solution. Our logic-based commerce system is a new category of eCommerce tech which uses 7 different data points to convert customers based on events. To get started please visit us online at Orkiv.com or email a specialist@orkiv.com. Epostrader is an e-commerce software solution with integrated point of sale functionality for online stores. Excellor offers an end-to-end eCommerce solution designed to integrate with existing systems and help deliver an Omni-channel experience. FDM4's E-Commerce solution is here to help you develop an eye catching front page, and an easy to use catalog.From first click to check-out, we have streamlined the purchasing process with your consumers, whether B2B or B2C, in mind. Fik Stores is a online store SaaS, allowing companies to create and manage stores with an administration, updating, scaling and backups. Fonteva eCommerce allows you to sell anything online and is 100% native to Salesforce. Freelancers Script is a script to create freelance marketplaces. MGS Front-end Builder is a premium feature with high applicability well suited for every Magento-based store. It allows you to build and configure Homepage, Category page, Product page, CMS pages... straightly and visually at front-end without having to log in the admin back-end. Fusion Commerce provides everything you need for a smarter ecommerce deployment.